To properly understand white supremacy and institutional inequality, there is no need to study the Ku Klux Klan or ask why you can’t say the n-word. Racism has less to do with the hate in one’s heart and more to do with the hard truths of economics and history. “On September 19, 2018 University of Mississippi alumnus, former faculty member and administrator, Ed Meek, posted on Facebook two separate pictures of African American women along with the caption, “Enough, Oxford and Ole Miss leaders, get on top of this before it is too late.” For Meek...the women’s presence apparently signaled the decline of the town of Oxford, home of the University of Mississippi. “A 3 percent decline in enrollment is nothing compared to what we will see if this continues…and real estate values will plummet as will tax revenue,” Meek wrote. To be clear, the sheer presence of black women doesn’t devalue homes. However, signaling they do can negatively impact housing markets...Meeks’ Facebook post suggests in word and deed that the values we place on people are strongly associated with proximate assets. Here, we should pause for a brief history lesson on how black neighborhoods are different from other neighborhoods. For most of America’s history, metropolitan neighborhoods were organically configured primarily by economics. Even Irish, Jewish and Italian enclaves, while ethnically homogenous, were characterized by residents of similar socio-economic standing. Poor Irish lived alongside poor Irish. Middle-class Italians lived with other middle-class Italians. Not only did these groups have the chance to advance economically, but they were also afforded the opportunity to achieve whiteness. And with that assimilation came integration. The same was not true for black America. Because of a combination of Jim Crow laws, lynching, bombing campaigns and—most notably—redlining (the federal policy that basically banned banks from issuing government-backed home loans in black neighborhoods), African Americans—including doctors, lawyers, engineers, and middle-class factory workers— were essentially caged into specific neighborhoods, regardless of what they could afford. While every other ethnic group benefitted from a 50-year head start on access to schools, property and financial resources, it wasn’t until the 1970s that black people began to receive a small amount of these benefits. But the effects of segregation linger. In almost every city in America, the redlining maps from the Jim Crow era coincide with current-day segregation. Black America is $156 billion poorer because of the combination of government-backed discrimination, history and perception. The study used a number of publicly available resources to compile a picture of home values in black versus non-black neighborhoods. They looked at census data, real estate listings, crime rates, access to businesses, walkability and the income of owners. The report notes that 41 percent of black people in America live in majority black neighborhoods. Many of these people are homeowners who occupy some 3.2 million homes. They have money and resources. Homes in neighborhoods where the population is 50 percent black are valued at roughly half the price as homes in neighborhoods with no black residents. Homes in black neighborhoods are, on average, valued 25 percent lower than homes in white neighborhoods, even if the homes have similar characteristics and the neighborhoods have similar amenities, crime rates, and resources. Simply being located in a black neighborhood means a home is worth $48,000 less than what the same home would be worth in a majority white neighborhood. When it is all added together, homeowners in black neighborhoods have a cumulative loss of $156 billion in property value. Children who live in neighborhoods that are heavily undervalued have less of a chance at upward mobility. This is the legacy of racism. It means black America is $156 billion dollars poorer because of the combination of government-backed discrimination, history and perception. 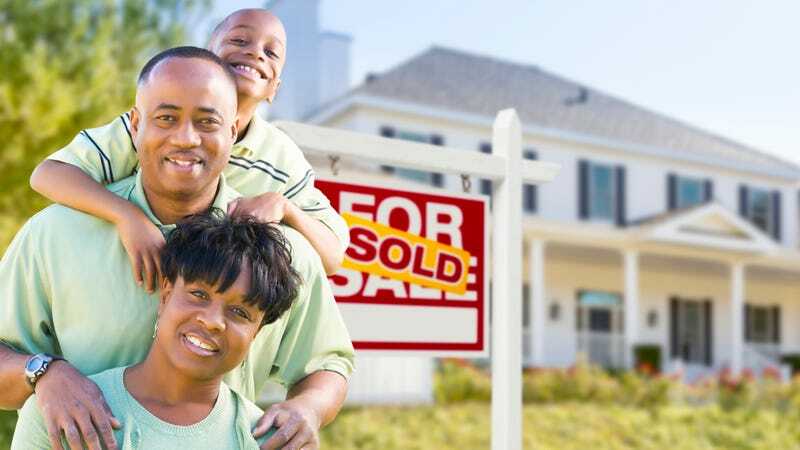 Home ownership is at the center of economic opportunity in America, and the objective data shows that black people have less opportunity because of home values. Lower home values in black neighborhoods mean schools in those neighborhoods receive less funding. Less funding means fewer resources and lower-paid teachers. This leads to education disparities in test scores. This leads to lower college attendance and a less-educated population. A less-educated populace leads to poverty. Because crime is largely a socioeconomic phenomenon, increased poverty causes more crime, which leads to people asking, “But what about black-on-black crime? This is also white privilege. Growing up in a white neighborhood means parents have the opportunity to pass down an economic asset to their children that is more valuable simply because it exists in a white space. They also have the home equity to take out second mortgages to pay for college educations at lower interest rates. Which means white children are more likely to finish college with less debt. Which means white children are more likely to go to graduate school or start their careers earlier in life. Which leads to higher wages and more years of earning, which leads to more savings and wealth. Savings means the children of white homeowners can purchase homes sooner and move into white neighborhoods and continue the cycle. And it’s all because people—even if they have no hate in their hearts or discriminatory intent—believe that white neighborhoods are more valuable. That belief is the textbook definition of racism, and almost every institution in America perpetuates that version of discrimination, which creates, by definition, institutional racism. Furthermore, the byproduct of institutional racism has created the brick-and-mortar, dollars-and-cents truth that black neighborhoods are, at the very least, economically inferior to white neighborhoods.